Zinc for Acne leverages the powerful antioxidants of zinc to naturally provide nutritional support that fights acne. Give your skin an acne supplement that can provide nutritional support for healthier skin. Directions: For adults take two (2) tablets daily, preferably with meals. Do not take more than two tablets per day. As a reminder, discuss the supplements and medications you take with your health care providers. Other Ingredients: Dicalcium Phosphate, Vegetable Cellulose, Croscarmellose Sodium; Contains <2% of: Gelatin, Silica, Vegetable magnesium stearate. Warning: If you are pregnant, nursing, taking any medications or planning any medical procedure, consult your doctor before use. Discontinue use and consult your doctor if any adverse reactions occur. KEEP OUT OF REACH OF CHILDREN. STORE IN A DRY PLACE AND AVOID EXCESSIVE HEAT. TAMPER RESISTANT: DO NOT USE IF SEAL UNDER CAP IS BROKEN OR MISSING. Zinc for Acne is rated 3.6 out of 5 by 13. Rated 5 out of 5 by Dutches from Excellent Results Seen results in the 1st week. No new blemishes after 3weeks. Couldn't be more satisfied. Rated 1 out of 5 by Khan from Very bad product Doesn't really work not effective it has been 3 months since using this product but no response. Rated 4 out of 5 by Sammy from Great product Good product, helps with skin and is a great value. 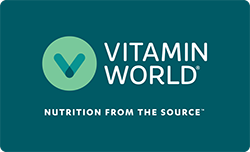 When ever I visit the usa I try to find a vitamin world so I can get some. Rated 1 out of 5 by Dot from Product does not work. ZX This product does not agree with me. Going to return. Rated 5 out of 5 by gannster from Very good product Very inexpensive. Just wish there was a stronger product offered. Rated 5 out of 5 by Lina from Best Kept Secret It works wonder! I spent hundreds of dollars at dermatologist and tried this on a whim! Rated 5 out of 5 by Liz15 from Excellent Product My brother uses this every day, for his adult acne and this is the only product he uses, because it helps and he has tried others which did not work at all. Vitamin World is the only place he can buy this product at. Rated 5 out of 5 by Anonymous from Awesome! I bought this product about 3 weeks ago, and it's amazing! No more bulbous red bumps, and my skin is glowing. This product has done wonders, and is helping me get back the beautiful skin I used to have.